On our recent trip to India we were treated to a viewing of this amazing observatory. Can you imagine time was being calculated so accurately so long ago! 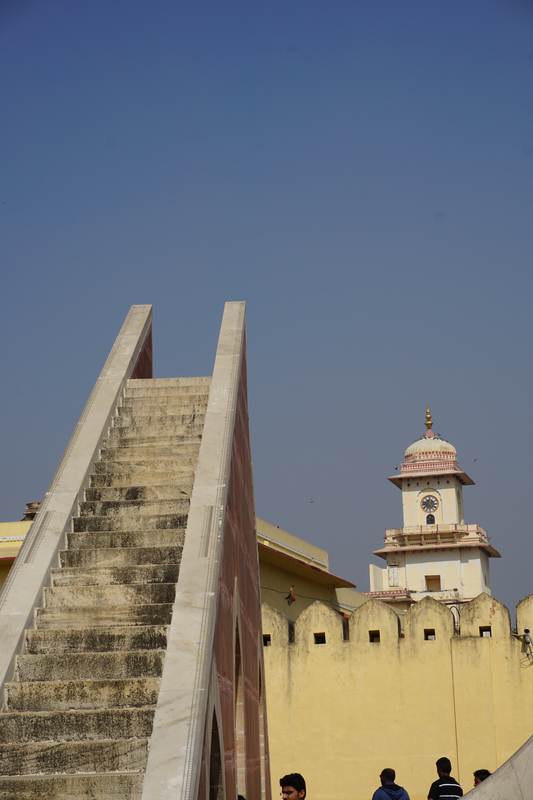 Numerous astronomical instruments at Jantar Mantar, Jaipur have been designed to calculate time, predict eclipses, measure altitudes of celestial bodies, track the position of stars, and assist in other astronomical observations. 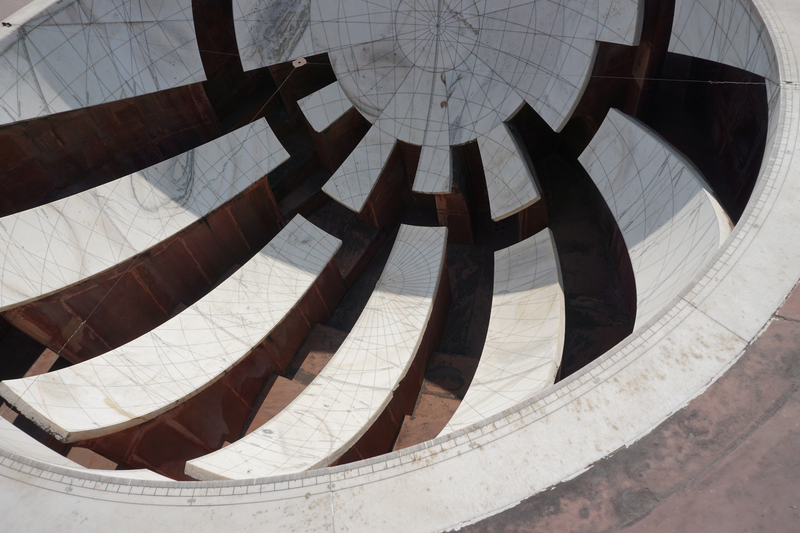 The term ‘Jantar Mantar’ is derived from the Sanskrit word-‘Yantra Mantra’ meaning instruments and formulae. The ‘Yantra Mantra’ literally means ‘Magical Device’. 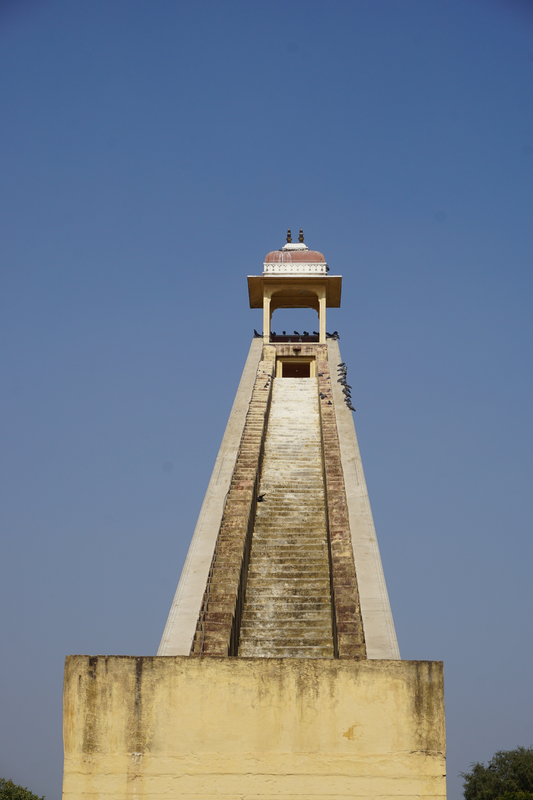 The Jantar Mantar, the observatory in Jaipur is located near the gate of the illustrious City Palace of Jaipur. The Jantar Mantar was built by Maharaja Sawai Jai Singh II, the founder of Jaipur and the Rajput ruler of Amber, between 1728 and 1734. For being a reputed astronomer, Jai Singh was commissioned by Emperor Muhammad Shah, to correct the astronomical tables and to confirm the data that was available on the planetary positions. He took nearly seven years to finish the Jantar Mantar. It was restored in 1901 and in 1948 the famous observatory was declared a national monument. The observatory consists of 13 different instruments of various geometrical forms for calculating the time of day, the heights of heavenly bodies, predicting eclipses and the situations of constellations. These instruments are of gigantic sizes so that accurate readings can be obtained. The instruments can make accurate measurements within one second. Jantar Mantar consists of the Jaiprakash Yantra, Samrat Yantra, Ram Yantra and the Composite instrument which contains a sundial and an enormous hemisphere on the northern wall. The colossal Samrat Jantar is the sun dial that is 90 feet high and its shadow is carefully contrived to tell the time of a day. The small domed cupola (chhatri) at the top is used for predicting eclipses and the coming of monsoons. 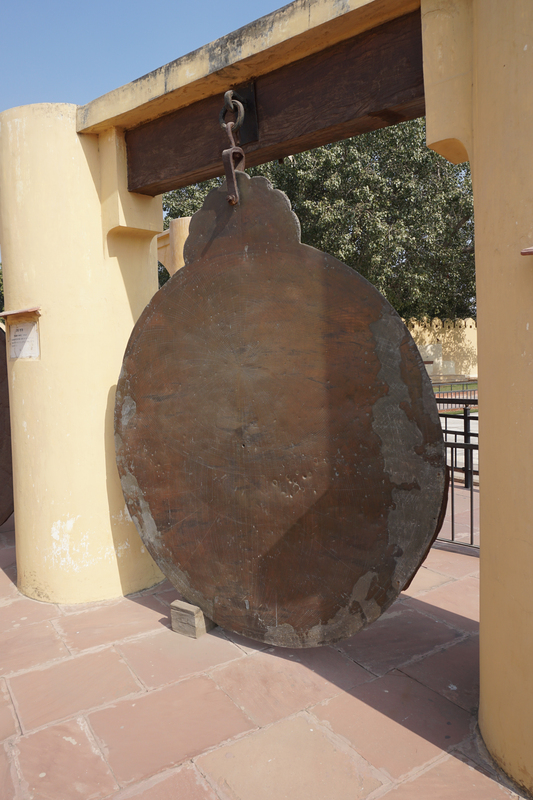 Till dated , the instruments of Jantar Mantar are used for forecasting weather, the duration of seasons, the intensity of the monsoon, and the prospects of flood or famine. 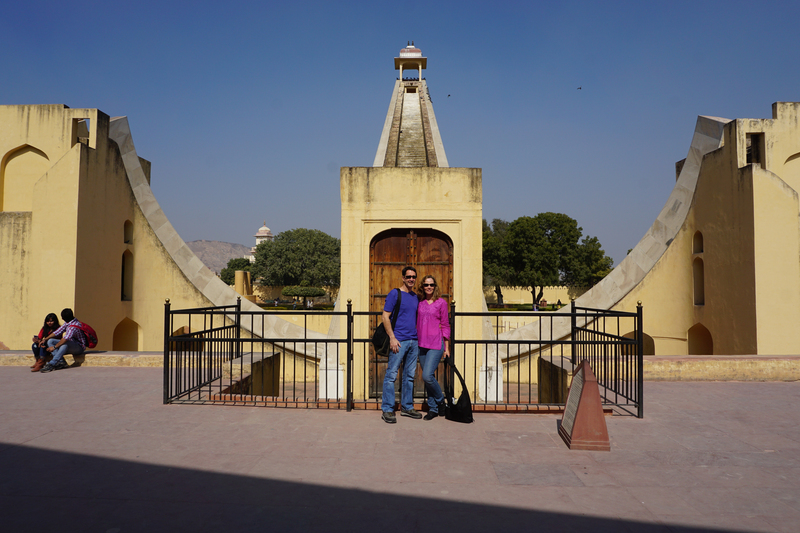 The Jantar Mantar stands as a testimony to the wisdom of the former epoch and awaits the visit of every tourist. This entry was posted in Photography and tagged Jaipur India, Jantar Mantar, photography, Rajastan, weekly photo challenge. Bookmark the permalink. Fascinating. I knew none of that history. Thank you for sharing. Lovely, educating take on the challenge, thank you! I was here a few years ago…truly amazing how advanced people of that time were!